Hello everyone! 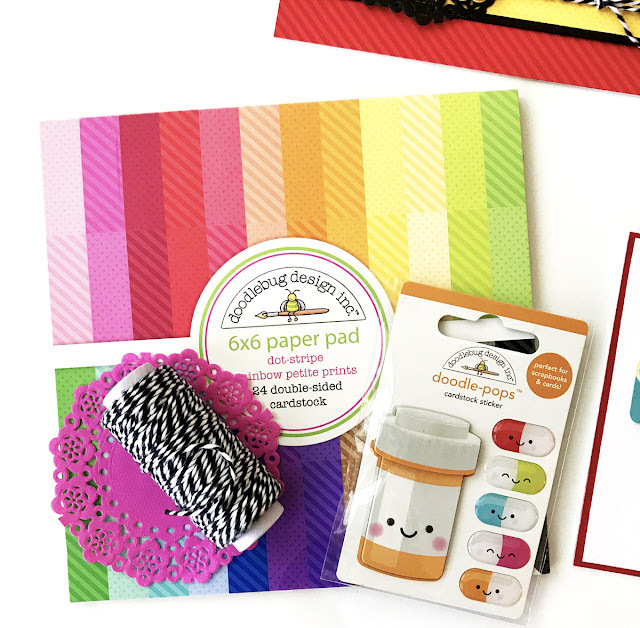 I have been a designer now with Doodlebug for a few years, and in those few years I have come to have some favorite products that are my go-to elements when I make my projects. I was so tickled when Doodlebug came out with 2 new Petitie Print sets. I designed a few cards showcasing the 6x6 Petite Prints. Here are a few close ups of my cards I designed. I like to really keep my cards simple, letting the products take center stage. 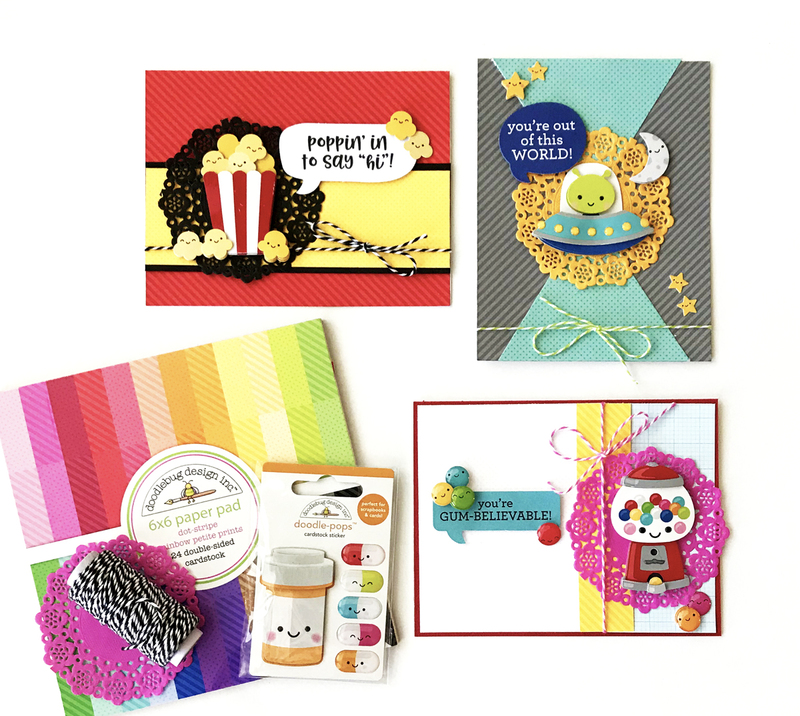 The colors of the Petite Prints are so vibrant and the smaller patterns in the 6x6 pads are perfect for card makers. 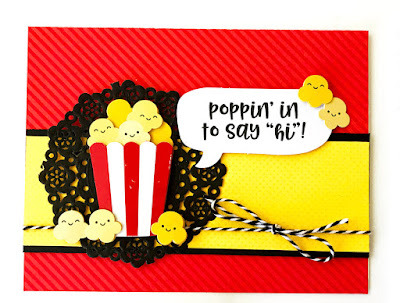 How cute is the little popcorn doodlepop? 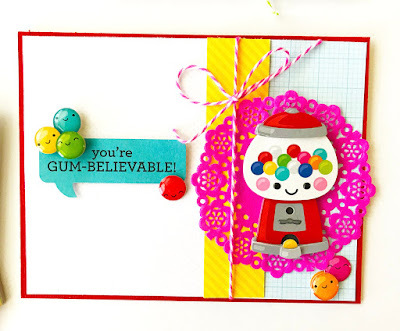 And this red Petite Print paper is so bright and fun! 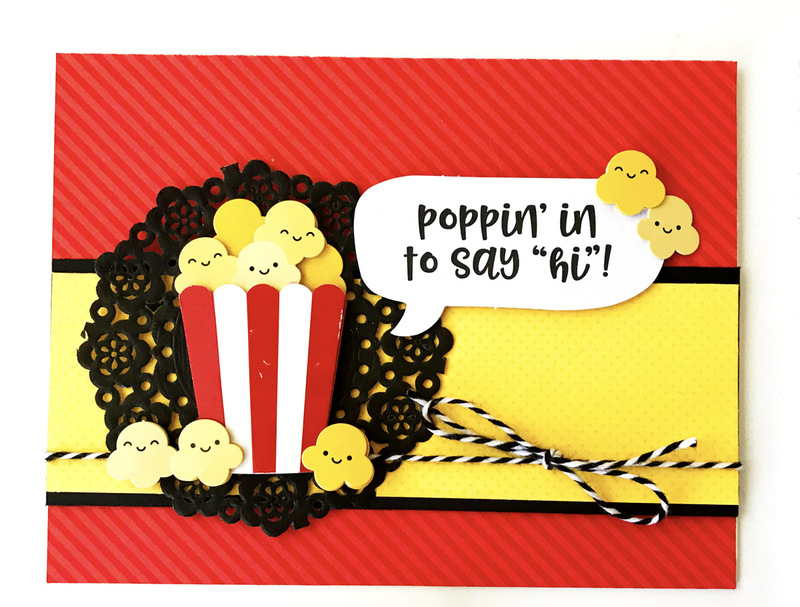 I love the small grid , dot and stripe patterns , it's fun to mix and match them all together like I did on this card above. With so many colors, you will never be without just the right shade to match any project. Gray is sometimes a tricky color, but I had no problems getting my papers to match my Doodlepop perfectly. I like to add bows of Doodle Twine for finishing touches on my cards. I really had so much fun making these. 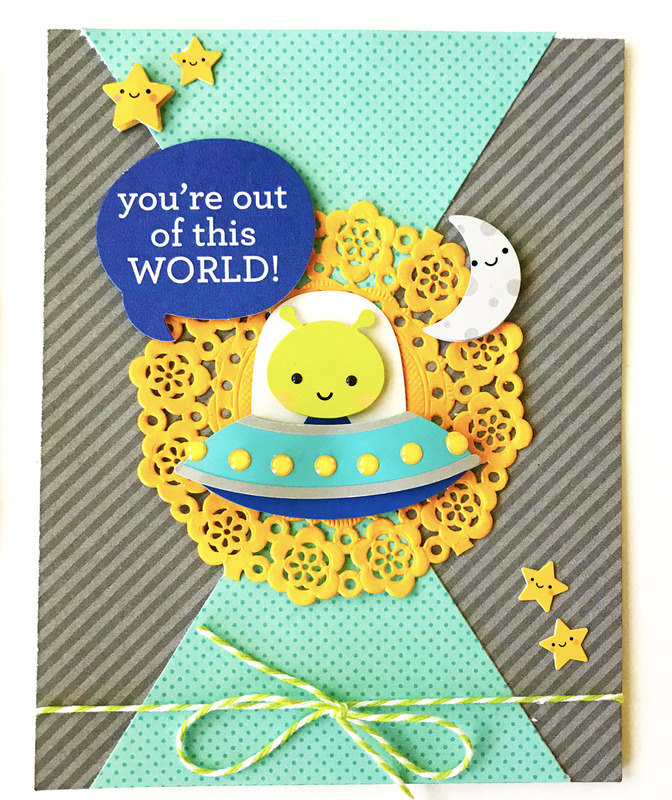 The Petite Prints are honestly so fun to use and are a staple to many of my Doodlebug projects. I hope Doodlebug keeps making many, many more Petite Prints for me to use. Thanks for stopping by today! Happy Crafting! Love these cards! Absolutely adorable!! !